Food Connect Shed Markets - Christmas Special! The last markets were so much fun, we’re doing it again! Come along to our pop-up market night and help us celebrate everything that's great about our local community! Stella Pastry - a unique range of delicious tarts, brownies, cakes and vegan treats. Edible Love by Rae - Locally made cupcakes! Belle and Frank- Locally made tote bags, grocery bags and produce bags! Busy Fingers- beeswax wraps, cotton rope -bowls, bags and mats. So many incredible stalls lined up. From local designers and artists, sweet treats, hot soup and handmade miso, music, cooking demonstrations, vintage clothes, come and meet your local producers, all under the roof of the Food Connect Shed. The incredible Robert Forster is coming to my place to play an intimate show! We can't think of a better way to see out the campaign to buy the Shed than to host such an icon of Brisbane's music history! Why not kick the night off at the Food Connect Shed Markets at the other end of the Shed! Drinks available for purchase at the bar. This will be followed by an open Q&A session and discussion. Are Farmers the New Environmentalists? Join us for a very special night with Food Connect farmers and the team to hear radical farmer and author, Charlie Massy as he discusses the new wave of farmers providing ground breaking solutions to restore our degraded landscapes and putting us on a path to transform our broken food system. After his keynote, Charlie will be joined by Samantha and Ray Palmer, owners of Symara Farm in Stanthorpe. With his new book, Call of the Reed Warbler, Massy gives us a new way to think about how we farm and grow food. Charles Massy explores transformative and regenerative agriculture and the vital connection between our soil and our health. It is a story of how a grassroots revolution – a true underground insurgency – can save the planet, help turn climate change around, and build healthy people and healthy communities, pivoting significantly on our relationship with growing and consuming food. All proceeds go towards the Food Connect Foundation's community-owned food hub project. Join us for an afternoon with Food Connect Brisbane and Milkwood! Food, coffee and beer will be available from Wandering Cooks. Author talks With Kirsten and Nick and a DIY mushroom growing demo. All proceeds go to the Food Connect Foundation. Food Connect Shed Open for Inspection! We’re looking to raise $2 million to buy our warehouse, and we’re launching a campaign on 21 August to do that. We’re setting up a new company to own the warehouse, and to manage the current tenants (and the tenants we hope to have in the future). We’re running an equity crowdfunding campaign so our community can own that warehouse with us. We believe for a fair food system to exist, the public needs to own the infrastructure. We’re launching at 6pm on Tuesday, 21 August, and we want to launch with our community. It’s a Tuesday, so it won’t be a late one. But, we want to give you chance to come and see our space, and celebrate with us. There will be beer on tap from all three of our local craft breweries, platters of nibbles, a kids space, and chance for you to ask us questions and register as an investor! If you want to be kept in the loop during the whole campaign, make sure you sign up to the interested investor list! The Food Connect Community Kitchen will host Soulfit Wellness Institute for their vegetarian and vegan cooking class. The first Twilight Hub Market at Food Connect was so great, we're going to do it again this month! At that last market night, over $4,000 was diverted from the industrialised, anonymous economy into our creative, local and relational economy that rewards talented artisans and makers. So join us for another great evening of ethical shopping for Christmas, good food and cruisy tunes. Lots of fun for friends, family and kids. New Stall holders are invited to apply here. If you're re-registering from our last market, please do so here. The Food Connect Foundation proudly invites the Brisbane community to buy really local at a series of Twilight Hub Markets this year. Featuring our incredible food makers operating out of our Community Kitchen as well as other local and talented sellers, with food, gifts and music, the next Twilight Hub Market will be held from 3pm on Thursday, 30 November, to give shoppers an ethical alternative to their normal Thursday night Christmas shopping. We have a great list of local businesses who will demonstrate radical transparency in their labelling and sourcing policies when offering visitors beautiful Christmas gifts at Food Connect’s warehouse in Salisbury. Many of these businesses make and grow the products they sell in South East Queensland, keeping local farmers and makers in business and local people in jobs. It just makes good economic sense. “By investing your spending dollars with locally-owned businesses, you create four times the economic impact within that local community,” says Chair of the Food Connect Foundation, Robert Pekin. "The beauty of really buying locally," he said, "is that you are contributing to the health and viability of your local community. That means local jobs, local investment, local relationships, and long term resilience." Are you going? Tell us on our facebook event page! Farmers, artisan makers and shoppers are encouraged to use the hashtags #buyreallylocal, #madebyourlocalartisan and #grownbyourlocalfarmers to help promote their products on social media. If you'd like more information, please email emma-kate@foodconnectfoundation.org.au. Museum of Brisbane have partnered with Food Connect to offer these tours. Food Connect work to connect a community that values a fair, healthy and flourishing food culture, where food and the work of those who grow, produce, process, transport and distribute it are recognised and rewarded fairly. At Food Connect, local actually means local: their fresh fruit and vegetables, dairy products and bakery items travel no more than 400 kilometres before getting to your door, and they guarantee superior quality, freshness and a reduced impact on the environment. Featuring our incredible food makers operating out of our Community Kitchen as well as other local and talented sellers, with food, gifts and music, the first Twilight Hub Market will be held on the evening of Thursday, 2 November, to give shoppers an ethical alternative to their normal Thursday night Christmas shopping. If you'd like to be stall holder, please email emma-kate@foodconnectfoundation.org.au. Join us for the premier Australian screening of the Sundance documentary LOOK & SEE, a cinematic portrait of farmer, writer and activist Wendell Berry. LOOK AND SEE is a cinematic portrait of the changing landscapes and shifting values of rural America in the era of industrial agriculture, as seen through the mind’s eye of writer, farmer, and activist Wendell Berry. The first documentary about Berry, undoubtedly one of America’s most significant living writers, LOOK AND SEE was filmed in and around the rolling hills of Henry County, Kentucky – where Berry has lived and farmed since the mid-1960’s. Often called “a prophet for rural America,” Berry has long been a voice for the communities that are so often overlooked by the media. LOOK AND SEE subverts biopic conventions and immerses audiences into Berry’s world, providing a space to talk about the land and those who live on it. It’s a conversation that is more urgent than ever, as we find ourselves in a deeply divided world where so many of us are disconnected from the farmers who feed us. This event is brought to you by the Food Connect Foundation and the Friends of Food Connect. The Friends of Food Connect share a love of quality, real, local food, are all long term supporters of Food Connect and share the values of Equity, Reciprocity, Integrity and Connection, especially within the food system. Events are organised to share ideas, educate and entertain while spreading the word about a fairer food system. On Saturday night 2nd September, the New Economy Network Australia (NENA) is co-hosting a site visit and CONFERENCE DINNER at Food Connect, which will include the Brisbane launch of the Organic and Regenerative Investment Cooperative (ORIcoop) and some fantastic art works by the Earth Arts Collective (including a projection of videos/photos and slam poetry). This is a side event connected to the New Economy Conference being held at Southbank from 1-3 September, 2017 - but everyone's welcome to attend the dinner, whether you're able to join us at the conference or not! This fabulous event will include a tour of the Food Connect food hub and an overview of the consumer-led food movement; a delicious multi-course meal and arts showcase. The cost is $70 per person - and this includes charter bus transport from Southbank to the Food Connect venue and back to Southbank later that evening. REGISTRATIONS ARE ESSENTIAL as places are limited, so please visithttp://trybooking.com/RAZP to secure your ticket! 9pm - charter bus takes participants back to South Bank or party on. For more information about the Conference or the Side Events, please visit: www.neweconomy.org.au. A visually immersive eco-music experience of the climate ‘storm’, social change and a compelling vision of hope for a better future. The Jerry Cans, from Nunavut Arctic Canada, will be touring Australia from 3 March beginning in WA and reaching Queensland on 22 March. Along the way they will play at some of Australia's premier music festivals. As proponents of Indigenous cultural exchange and with First Nations Inuit people in their band, The Jerry Cans are always keen to meet local Aboriginal people and discuss their cultural similarities and differences. To welcome them to the Sunshine State, an Indigenous cultural food exchange will be a highlight of the Queensland leg of their tour. The event will take place at Food Connect,Brisbane’s sustainable and ethical food hub, who have partnered with First Food Co, providores of specialty native Australian ingredients. First Food Co are hosting the event to bring together Australian Indigenous Elders and the Inuit band members from Arctic Canada who will partake in an Indigenous cultural food exchange while invited guests taste the incredible dishes using First Food Co’s carefully sourced native ingredients, while listening to a few high-energy tunes from the band. The fast rising northern stars, The Jerry Cans, create music inspired by their hometown of Iqaluit, Nunavut, close to the Arctic. With their unique mix of Inuktitut alt-country, throat singing, and reggae, the Jerry Cans are a distinctly northern, one-of-a-kind group. The band perform many of their songs in Inuktitut and are passionate about preserving the language even as the north and their home community of Iqaluit evolve. Andrew Morrison, lead singer of The Jerry Cans, says that the group’s main focus is tointroduce the world to the lifestyle of their indigenous community in Arctic Canada via music and culture. The Food Connect Foundation’s vision is a world where all Australians can access healthy, local, ecologically-grown food that is fair to growers, eaters and the planet. First Food Co is a specialist providore led by Aunty Dale Chapman, and sources native Australian ingredients from Aboriginal communities who wild-harvest or farm a variety of ingredients. They value add by manufacturing a range of relish, salsa, dukkah, popcorn, confectionery, tea and soap. The team regularly appears at food festivals and other public events. The invitation-only event will be held between 11am and 1.30pm at the Food Connect Homestead in Salisbury, on Thursday, 23 March 2017. 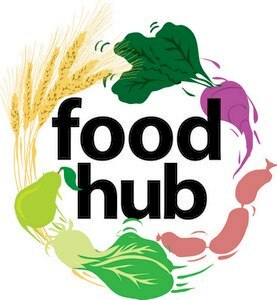 The Food Connect Foundation in partnership with the Business Council of Co-operatives & Mutuals and Redland City Council, with support from the Australian Food Hubs Network and Sustain, is hosting Brisbane's first Inaugural Community Food Hubs* event. Lord Mayor’s Suburban Initiative Fund and Moorooka Ward Councillor. The dinner event includes a delicious three course meal sourced from Food Connect farmers and local food and beverage makers, and catered by Gemma and the team at Espresso Train Caterers. While enjoying the atmosphere of the Food Connect packing shed, you will hear from international speakers Anthony Flaccavento and Kathryn Scharf, and participate in a Q&A session afterwards. WHEN: 6pm for 6.30pm Thursday, 11 August, 2016. Explore innovative ways to create greater value for local producers and entrepreneurs, revitalise rural and regional communities, and enhance affordable access to healthy food for all. Learn first hand experiences of best practice Community Food Hub models from Canada, the USA and Australia. Network with local practitioners, producers, academics, policy ­makers, investors, professionals and grassroots activists from across the food system. Seek to understand the establishment pathways for community food hubs, with a focus on proof of concept planning, plus resource, infrastructure and financing requirements. Philanthropists and impact investors who realise the transformative power of financial resources put to a high social and environmental purpose. Richard Warner is the coordinator of Nundah Community Enterprises Co-operative (NCEC), a workers co-op established around the employment needs of members with a disability. NCEC manages two businesses: 'Espresso Train Cafe' and 'NCEC parks and Maintenance' who maintain a number of Brisbane's small parks. NCEC were awarded the best small social enterprise in Australia in 2015 and were finalists in 2013 and 2014. Richard has a background in community development and working alongside people with a disability & is current secretary of the Queensland Social Enterprise Council (QSEC) the first peak body for Social Enterprise in Australia. Kathryn worked for six years as Program Director at the Stop Community Food Centre where she helped to develop the Community Food Centre program model and the strategy to take the model to a national scale. She has worked for 17 years in the community food security sector in Toronto on everything from grassroots work in community food programs and alternative food distribution systems to program development, communications and initiatives aimed at changing systems through food policy and action. She is the co­author, with Nick Saul and Charles Levkoe, of the Metcalf Solutions Paper, In Every Community a Place for Food: The Role of the Community Food Centre in building a Local, Sustainable and Just Food System. Anthony is an organic farmer near Abingdon, Virginia, in the heart of Central Appalachia. He has been working on community environmental and economic development in the region for the past 27 years. In 1995, he founded Appalachian Sustainable Development, which became a regional and national leader in sustainable economic development. Anthony left ASD in December, 2009 to found SCALE, Inc, a private consulting business dedicated to catalysing and supporting ecologically healthy regional economies and food systems. SCALE works with community leaders, farmers, foundations, economic development agencies and others in Appalachia, Iowa, Michigan, New Mexico the Arkansas Delta and other communities. Anthony speaks and writes about sustainable development, economics, food systems and rural development issues extensively, with some of his pieces appearing in the Washington Post, Huffington Post, Solutions Journal and elsewhere. *What is a Food Hub? A centrally located facility used for the aggregation, storage, processing, marketing and distribution of regionally produced food products. Formed in 2013, the BCCM is a powerful and informed voice in the business community. Led by the chief executives of Australia’s co-operative and mutual businesses, the BCCM brings together the sector of businesses owned by members or formed to benefit members, with the common objective of increasing awareness of these models of enterprise. Redland City Council is the local government authority for the Redlands, which includes the Southern Moreton Bay Islands, North Stradbroke Island and the mainland from Redland Bay in the south, to Capalaba in the west and Thorneside to the north. Seasoned folk darlings Tinpan Orange have today announced their fifth studio album, Love Is A Dog, alongside its breathtaking first single, Rich Man. The virtuosic trio are hitting the road to play Parlour gigs on their upcoming tour. Don’t miss this opportunity to see the band in such an intimate setting.